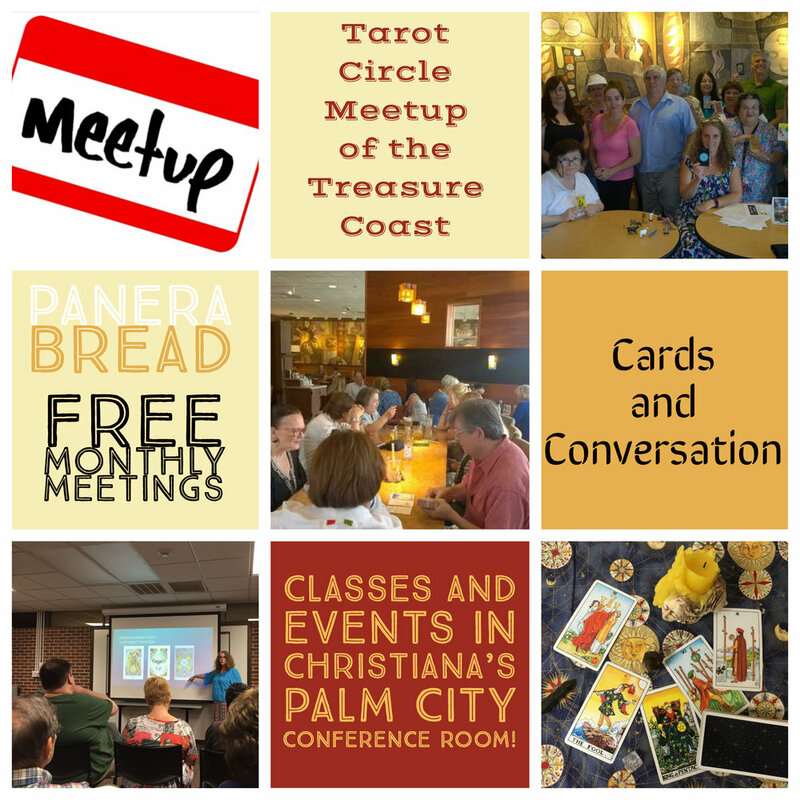 Join us for our monthly tarot fellowship at Panera Bread. Bring your cards, or borrow a deck at the meetup. Tarot enthusiasts of all levels of experience, from beginner to professional, are welcome. This is a free event hosted by tarot professional and author Christiana Gaudet. You may RSVP on Meetup or simply join us at Panera.